The permanent exhibition was opened in 1969. Thanks to the complex and highly subtle design, the age of the exhibition does not belittle its attractiveness and the high quality of information that it provides about Jewish history and way of life. Geographically, the exhibition covers the region of the whole former Yugoslavia, while in terms of time it covers the history of Jews since their first arrival to this region, in the II – III century, until the World War Two and the Holocaust, and includes the period of rehabilitation of the Jewish community. 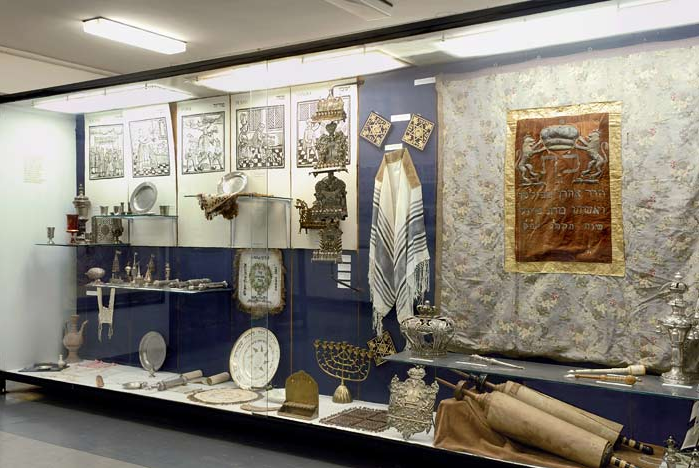 This lengthy period of time is presented in summary on 200 m2, and it enables the visitor to learn about Jewish habits, architecture, culture and art.